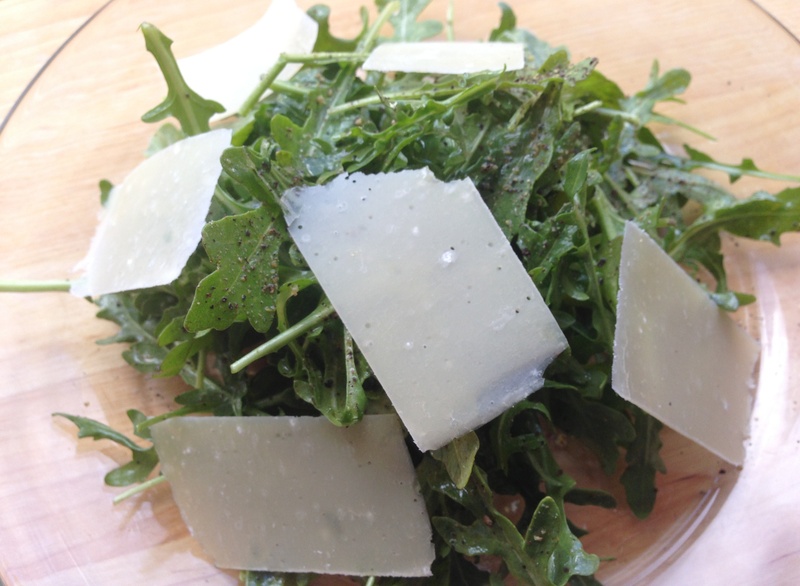 Start by washing then drying your arugula. 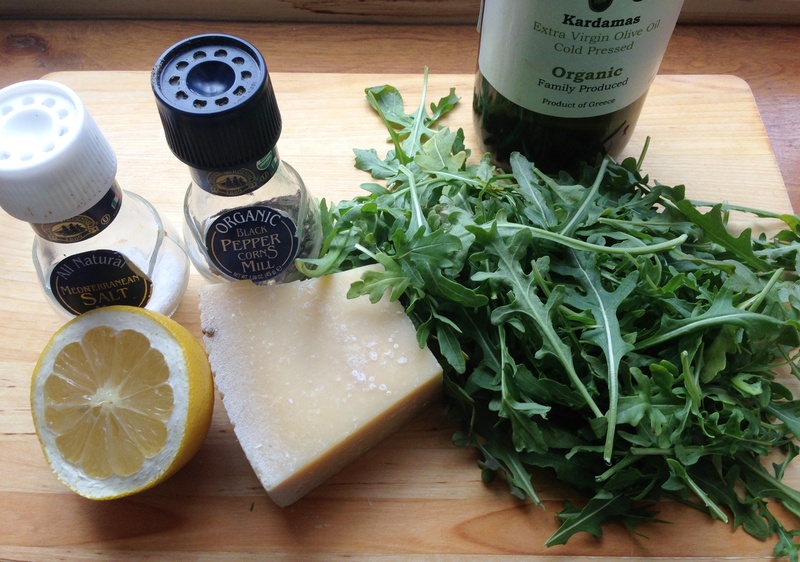 Set aside to make the Lemon Vinaigrette (this is my favorite go-to salad dressing that my Mom taught me years ago). Now squeeze the lemon half into a small bowl. 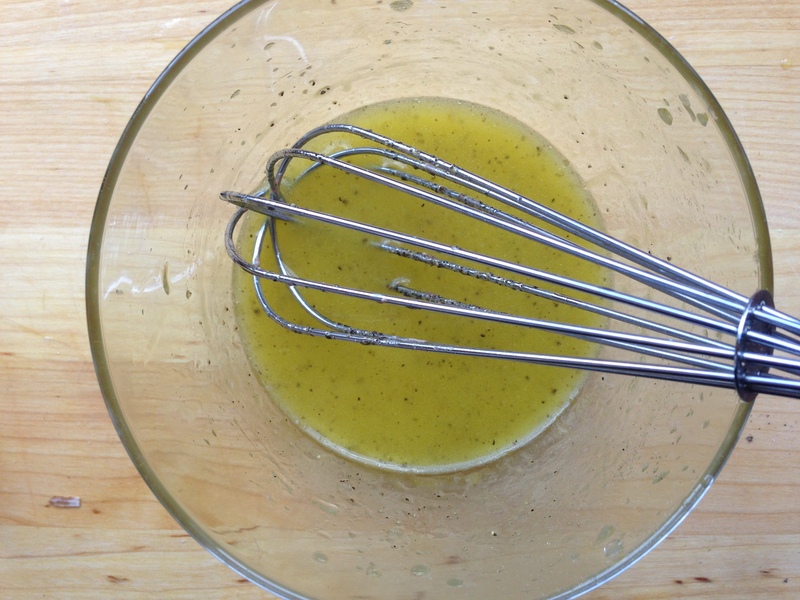 Using a whisk, or a fork if you don’t have one, gently pour the olive oil into the lemon juice, stirring as you go. 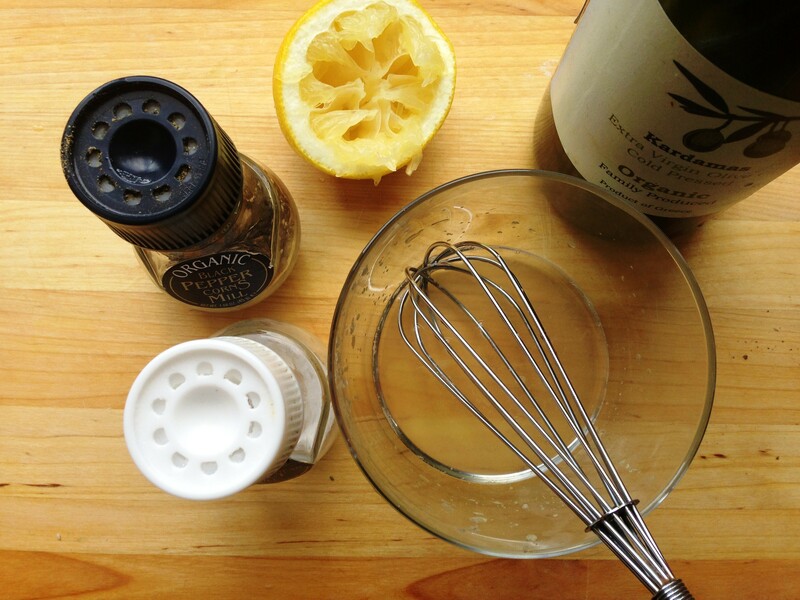 You want to ensure that you have equal parts lemon juice and olive oil. Now season the dressing with a few pinches of salt and pepper. Mix to distribute evenly. 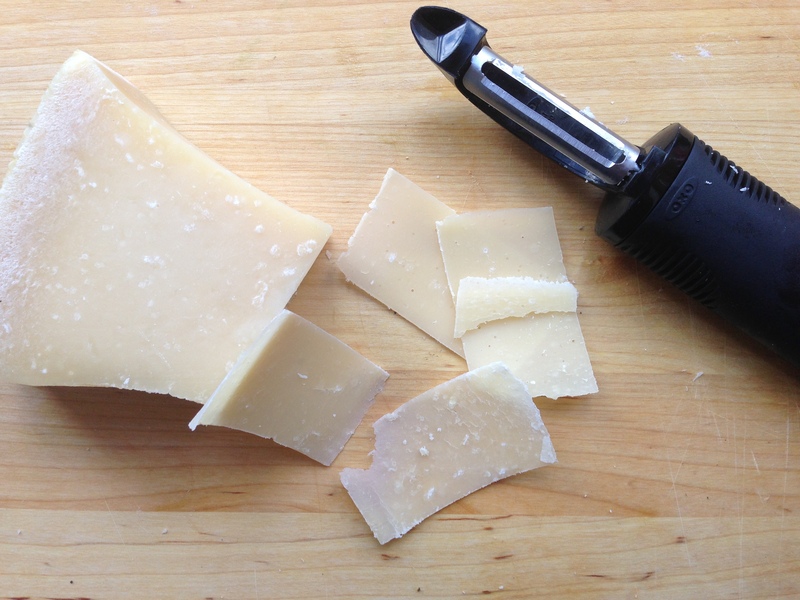 With a potato peeler, carefully run the blade alongside the block of Parmigiano-Reggiano to create thin, delicate shards of cheese. Toss the salad with the dressing and then carefully lay your cheese on top. 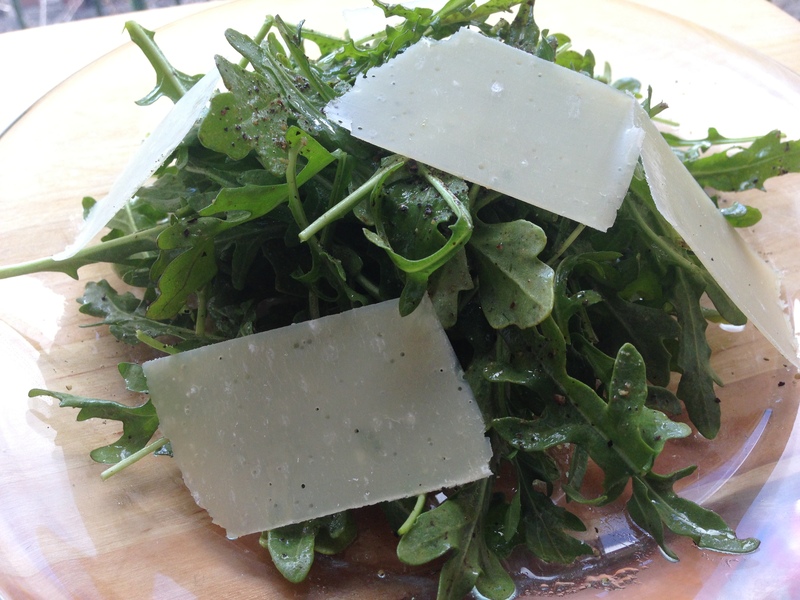 Fieldhouse Fun Fact: This Simple Arugula Salad is a Fieldhouse Kitchen staple — I love putting it on top of a breaded chicken cutlet, alongside a steak or having it on its own. Hope you do, too!